going to do when he turned 9: he was going to become a singer. mining engineering apprenticeship with the National Coal Board. the Scottish mines and headed for London to pursue his dream. He was 17. Roger backstage congratulations from Jimi Hendrix. guest on Richard Baker’s celebrated Start the Week Radio 4 program. Who is this man? A blues singer? A jazz singer? John Laine? the 50s and early 60s, to the revived rhythm & blues of the 60s and the fusions of the 70s. welcoming without being tired or jaded. 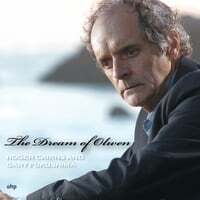 "The Dream Of Olwen" Reviewed by RadioIndy.com! New CD Blast From RadioIndy! 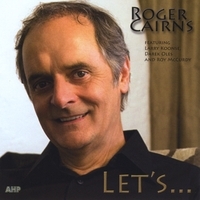 Roger Cairns’ “Let’s…” showcases the Scottish vocalist’s ability to move seamlessly between many musical styles, settings and genres. His passion, versatility, and flexibility are on full display as he interprets jazz standards and more modern selections. The production is clean and straightforward, with the vocals upfront and Cairns being supported on most tracks by a jazz quartet consisting of piano, bass, drums, and sax, though the sax is replaced by a fitting jazzy guitar on the spirited “Gravy Waltz.” From the New Orleans feel of “Moonlight Becomes You” to the Brazilian textures of “They Say It’s Wonderful” and “How Am I To Know,” Cairns' personality can’t help but to shine through. His heartfelt rendition of the jazz standard “My One And Only Love” is a definite highlight, exhibiting his mastery of the jazz ballad. Additional notable tracks include the bouncy, lively “Stormy Monday” and the contemporary sound of “To The Ends Of The Earth.” “Let’s…” is recommended for fans of jazz vocals and, with the many different styles presented here including blues, jazz, ballads, and swing, music fans in general. RadioIndy is pleased to announced that we have published our CD Review of Roger Cairns's music to CD Baby. FANS - Please checkout Roger Cairns's online! CD Baby page here and sample / purchase some great new music! RadioIndy is pleased to announced that we have published our CD Review with Roger Cairns's music to iTunes.com. FANS - Please checkout Roger Cairns's iTunes page here and play / purchase some great new music! Roger Cairns Press Release on Digg.com! RadioIndy is pleased to announced that we have published our CD Review of Roger Cairns music to Facebook. FANS - Please checkout Roger Cairns Facebook review and sample / purchase some great new music! Radioindy Review for Roger Cairns's has been added to Myspace Music! RadioIndy is pleased to announced that we have published our CD Review of Roger Cairns's music to Amazon. FANS - Please checkout Roger Cairns's amazon page and sample / purchase some great new music! RadioIndy is pleased to present Roger Cairns with a GrIndie Award for the CD "Let’s…"